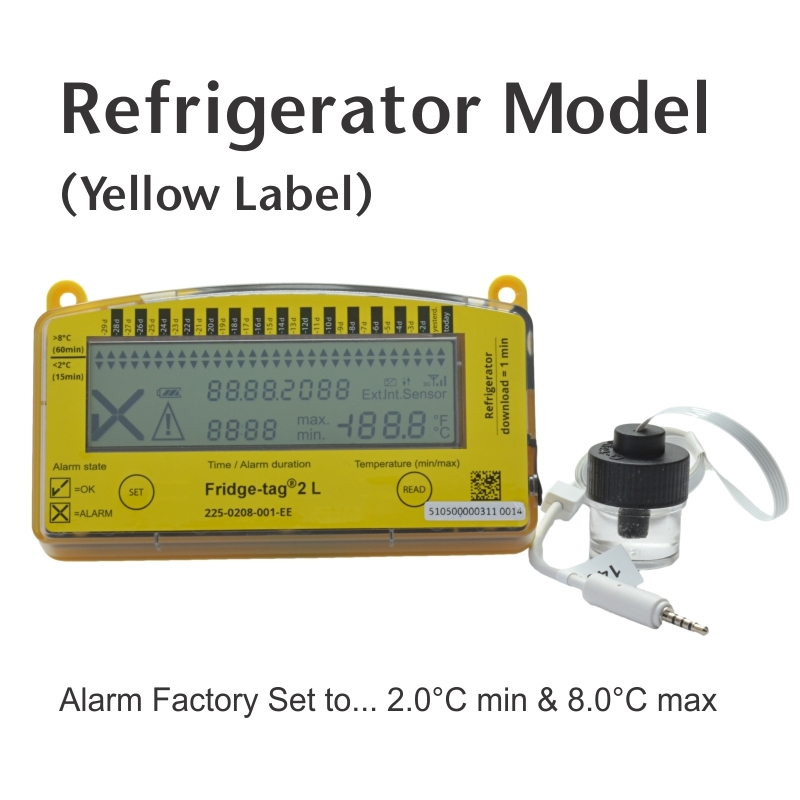 BERFRIDGETAG2L Fridge - Vaccine Data Logger, Alarm Setting >8.0°C for 60min. & <2.0°C for 15 min. 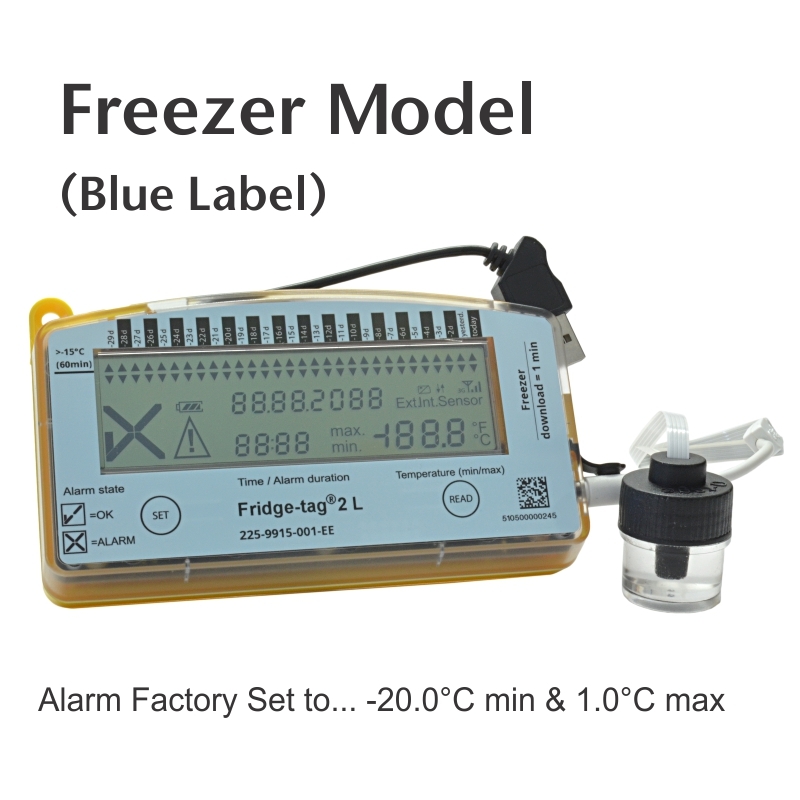 BERFREEZTAG2L Freezer - Vaccine Data Logger, Alarm Setting >-15.0°C for 60 min. 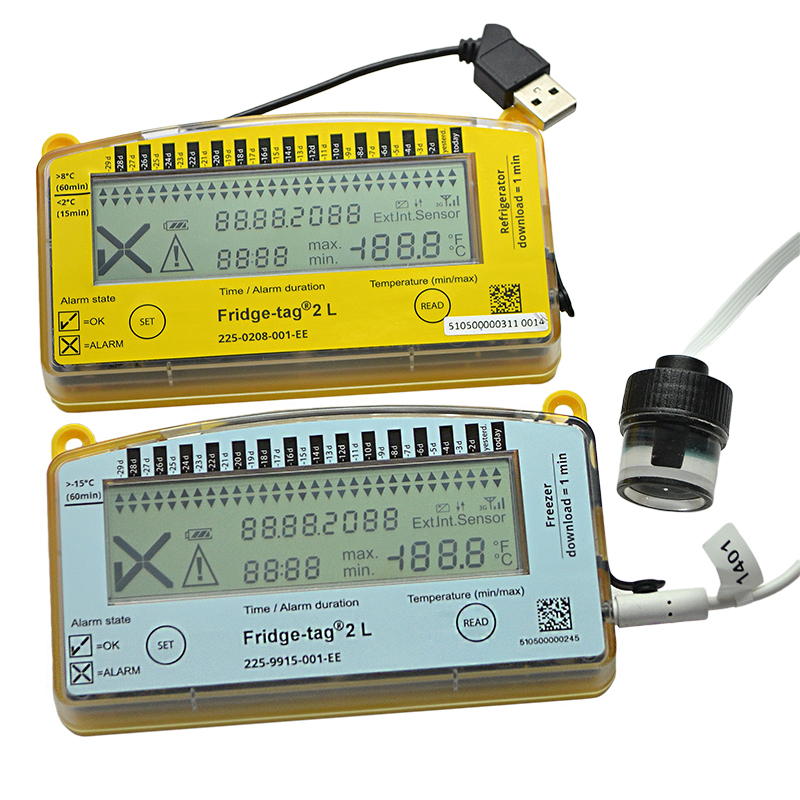 Exact measurement of temperature and time The Fridge-tag® 2L is a high-precision, electronic temperature monitor. It is 100% calibrated and has a measurement precision of +/- 0.5 °C. Temperature measurement occurs every minute throughout the entire monitoring time. 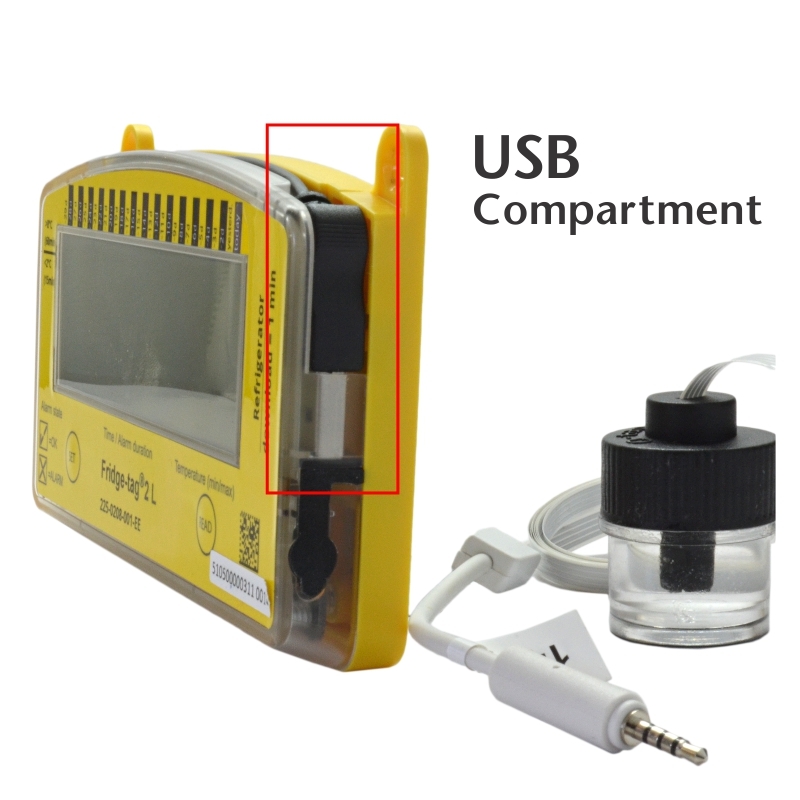 This guarantees faultless and extremely accurate measurement results. Even if an alarm limit has been exceeded and the Fridge-tag® 2L alarm is displayed, it accumulates each additional temperature threshold violation. The precision time measurement is generated by a built-in quartz. NIST/ILAC traceable. 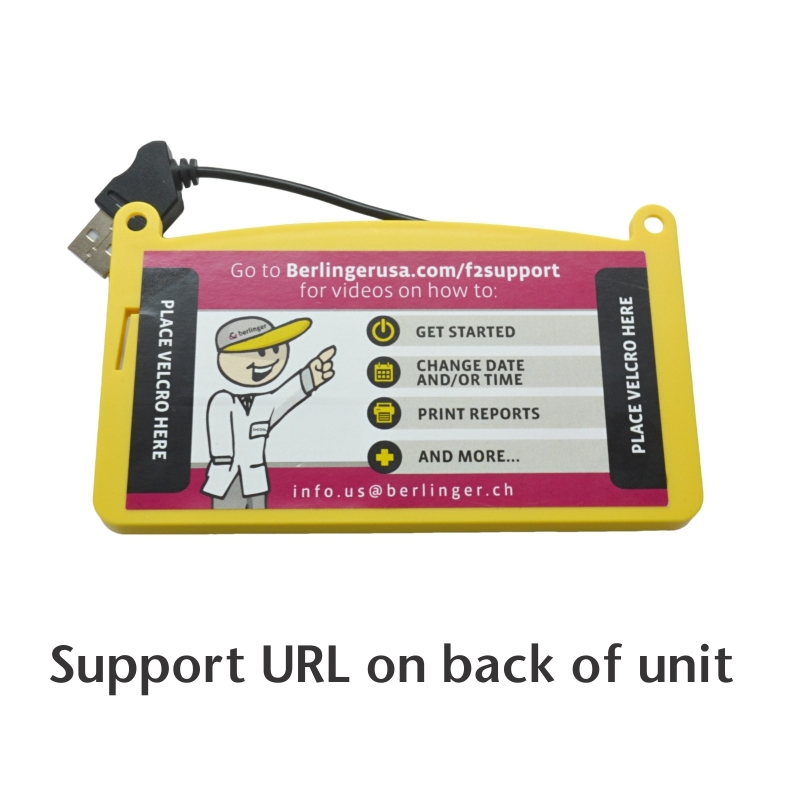 Data read-out without software via USB As soon as the Fridge-tag® 2L is connected via USB to a PC or Mac, it creates a PDF or an ASCII file. 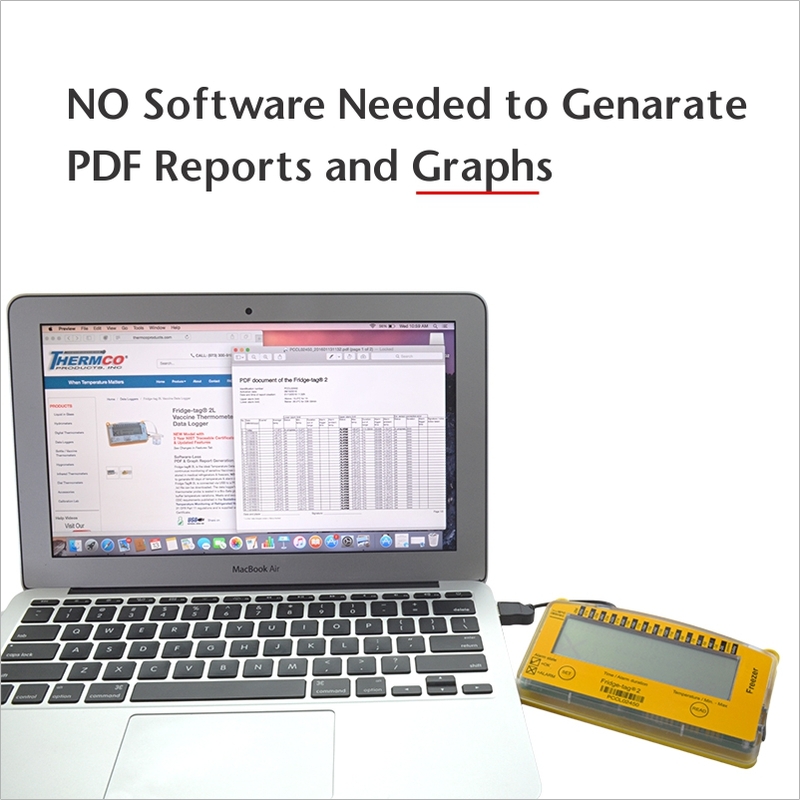 Thanks to the electronic signature the raw data can be verified to be in compliance with the FDA 21 CFR Part 11 regulations. Any changes are immediately recognized and the document rejected. This means that each month you obtain a report and the assurance that your temperature-sensitive goods are stored and recorded in accordance with regulations. Manipulation Fridge-tag® 2 cannot be manipulated or reset without destroying it.